The Province of Santa Fe (Spanish: Provincia de Santa Fe, Spanish pronunciation: [ˈsanta ˈfe]) is a province of Argentina, located in the center-east of the country. Neighboring provinces are from the north clockwise Chaco (divided by the 28th parallel south), Corrientes, Entre Ríos, Buenos Aires, Córdoba, and Santiago del Estero. Together with Córdoba and Entre Ríos, the province is part of the economico-political association known as the Center Region. This urban waterworld is a fast-growing city tucked into a bend of the Parana River about 186 miles northwest of Buenos Aires. Slip into a kayak or take a cruise for the best river views, or hit the city center, bustling with discos, theaters, pedestrian malls, restaurants and parks popular with cyclists. 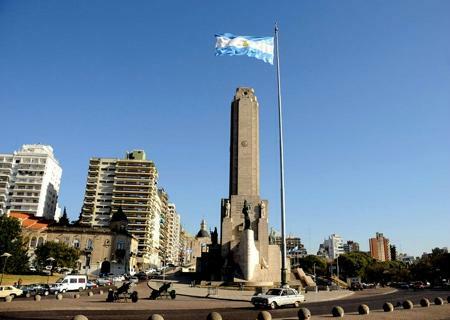 A national monument on the riverbank honors the city's historic role as the site where the Argentine flag was first flown.